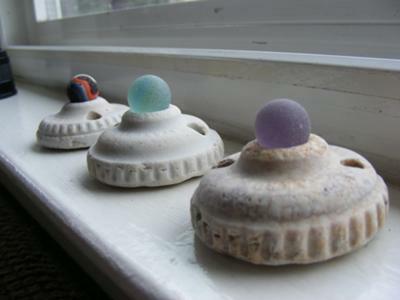 3 marbles and electrical parts. 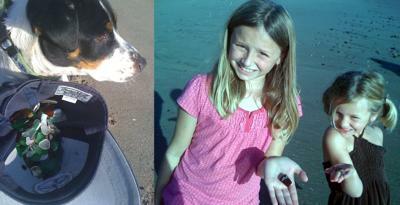 Thanks for submitting your finds again, you really get some "gems" that are unusual to say the least. 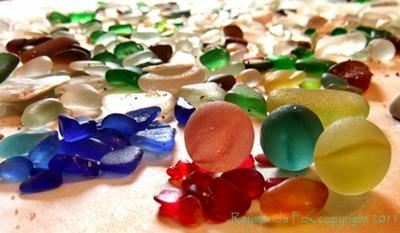 Many sea glass enthusiasts have never found a marble. I know it was several years of "treasure hunting" before I found one! With the rain and stuff there, more sea glass is bound to get uncovered and fresh pieces added for future "sea glass patrols. After 46 years of collecting seaglass and with over 40,000 pieces, I consider marbles extremely rare, at least on the NJ shore, where I live and collect. It's our pleasure too, Laurel! 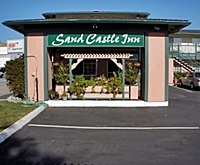 Located in Seaside, the Sand Castle Inn is just two blocks from the scenic Monterey Bay. BeAuTiFuL!!! I've only found 1, but finding 3, WOW! !